If you are reading this, probably you are a hotelier or a hospitality and travel enthusiast. Whenever we see travel sites or hotel booking sites, we regularly come up with a few pricey options that mention, Boutique Hotels or Boutique Luxury hotels. So, what is a Boutique Hotel? 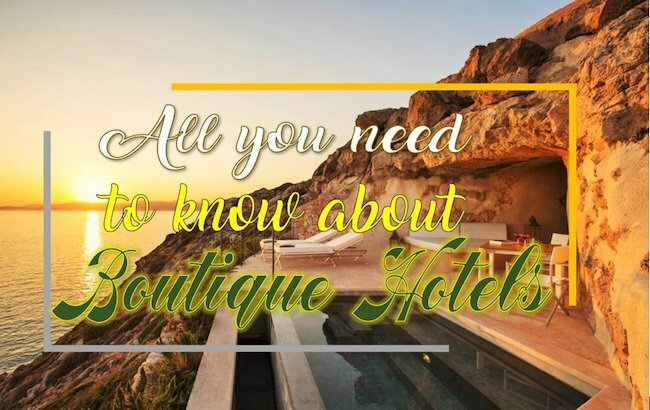 In this post, we explain everything about Boutique Hotels and also included are a few of the best boutique hotels in the world. We have included a lot of pictures of the best boutique hotels to keep in line with most of our other informative post. That is to make sure, it is also a visual delight. We are sure you would cherish our collection of the best boutique hotels in the world. Let’s begin the picturesque journey to the Boutique Hotel industry. The term ‘Boutique Hotel’ was first introduced by Steve Rubell in 1984, who was a nightclub entrepreneur from the USA. This was the term which was used to describe small upscale hotels which had a uniqueness attached to it in terms of art, architecture, design or service. Think of the Most unusual Hotels in the world or the themed hotels like the Various Ice Hotels in the world. It would probably not surprise you when we claim that most of these are Boutique Hotels. The term ‘Boutique’ came into popularity in the 1980s,’ and were predominantly used in North America and the United Kingdom. Related- Best Boutique Hotels in London. This term has now gone viral like a lot of our posts and images on this website. Lots of bigger names have now introduced their own versions of Boutique hotels to make sure they don’t lose out on this ever-expanding market. Almost all the top hotel chains in the world have ventured into the Boutique Hotel segment in some way or the other. Most importantly, these hotels have been a delight to consumers who are able to enjoy themed hotels with art and décor suited to local culture, history or a form of global art and design. Moreover, as most of these are upscale Hotels, the quality of service is impeccable. It seems to be a recent phenomenon when the term Boutique was coined but over the last 32 years, the Boutique Hotel segment has moved by leaps and bounces. With almost every global chain entering the Boutique market, there is a huge selection of Boutique Hotels around the world now. Not a lot of the new hotels do justice to the real term Boutique. A lot of the hotel chains have a boutique wing or hotels which are boutique under a separate brand name. This is because as per the concept boutique Hotels are supposed to be small and unique and not heavily commercialised. Best Boutique Hotels are meant for the classes and not the masses. 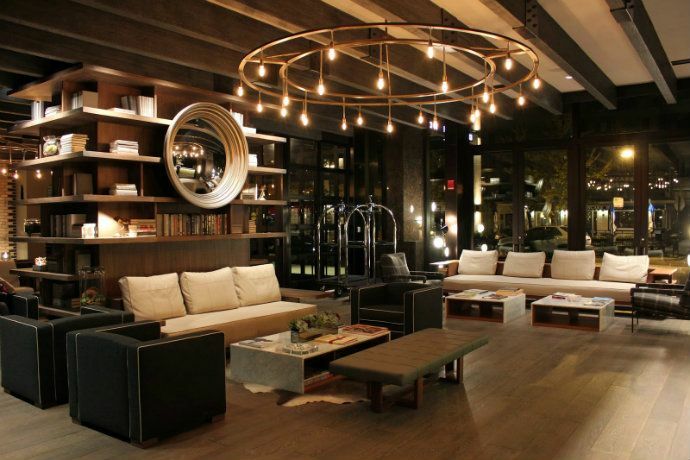 Typically, Boutique hotels have anything between 10 rooms to 100 rooms. While a lot of Hotels based on the theme were present already, these were named Boutique only after the term gained popularity. What do the Boutique Hotels offer? As visitors, we all have certain expectations and we expect something special from a Boutique Hotel. So, what do these Boutique Hotels have on offer that makes them different from a luxury hotel or from a classical B&B and Inn? A great piece of architecture is an art in itself. What all fabulous Boutique hotels offer is that they make all rooms a canvas of art to amaze visitors. The design and art are awe-inspiring and thus the connection with art justifies the term Boutique. Something like hand built with a lot of precision and in an artistic manner. This is what you can expect from all great Boutique Hotels. There are a lot of hotels which are having a unique theme and are boutique in nature. A lot of the Tree house hotels can also come under the Boutique hotels umbrella. We saved the best for the last, didn’t we? There are hundreds of super luxury Boutique hotels around the globe but we can’t name all of them here. We will only name a few notable ones especially to act as a starting point for the travel enthusiasts and job seekers. To begin with here is our favourite list. We’ve already plunged past first-half of 2018, and hotel industry pundits are out with their picks for best hotels and resorts. Today, let’s look at the Best Boutique Hotels in the world. This list takes us from the best boutique hotels in the world to the best luxury boutique hotels in the world and everything in between. We will keep updating this space to include more great small boutique hotels. It’s no surprise that this Maine landmark boutique hotel garnered a slot on this list. In fact, it clinches the top slot for the best small boutique hotel in the world. True to Maine’s past, the hotel features a marine-themed architecture. All its 20 rooms are named after favourite ports used by the infamous DE India Company. But, instead of ship wheels and fishnets, its highly acclaimed decor goes for a sleek and contemporary feel and look. This again is a quality Boutique Hotel. Afront City Market, French Quarter Inn offers breathtaking views of the best Charleston has to offer. It ditches mainstream flavour for a Southern take on their amenities. Guests get a plentiful supply of tea, snack, and meals. They also receive a relaxing Swedish massage, all within their hotel package. The hotel has been nominated for best awards from Travel Choice and TripAdvisor and has been termed as one of the best boutique hotels in the world by many travel sites. This boutique hotel in Sausalito takes romance to a whole new and exciting level. Each of the 31 rooms overlooking the Bay offers breathtaking views. With free breakfast, Bulgari luxurious toiletries, and loaner bicycles, you can never go wrong with Above Inn. After a long day wine-tasting and watching San Francisco’s receding skyline, it’ll be awesome to kick back and relax in their cosy rooms. Here’s a winner for the best luxury Boutique hotels in the world category. 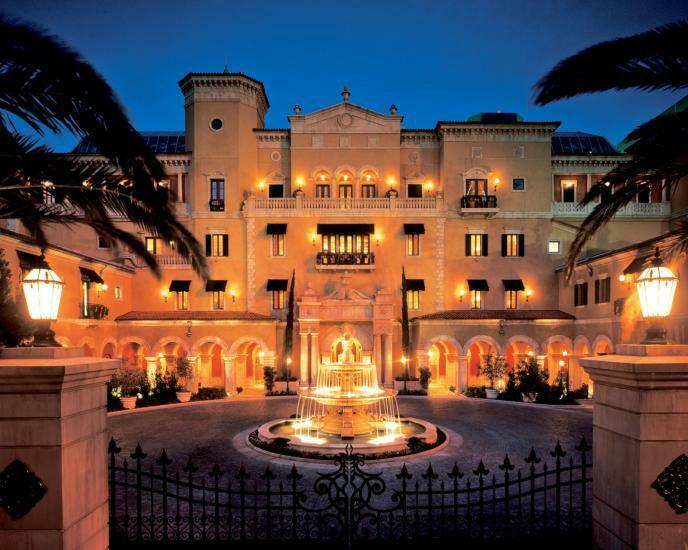 Everything about this hotel oozes off that royal feel and look. Heck, Kate Middleton spent some time here before her wedding. Recently, the Queen of England herself gave the hotel an outright thumbs up. To take things a notch higher, The Goring offers each of their guests an entirely tailcoat-clad footman. As if that isn’t fabulous enough, food service here is just out of this world. This 69-room boutique hotel perched on Arno river bank is quite a sight. Its crisp white hotel walls offer an unprecedented canvas for its 400 pieces of artwork. Everything about Hotel Lungarno falls in place – the food service, in-room hospitality, views, and so on, giving it a rubber stamp to appear on the list of Best Boutique Hotels in the world. If you are not having enough of these Boutique Hotels then the list continues through the Top 25 boutiques hotels of the world listing by TripAdvisor here. 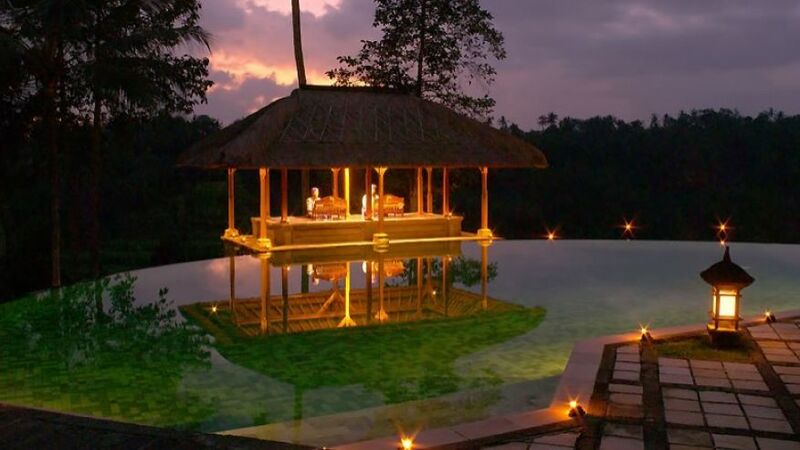 There are a huge number of other small luxury Boutique Hotels all around the globe. We have also made a point not to number these Boutique properties in any order. These hotels are built to taste and the beauty of these Boutique Hotels lies in the eyes of the beholder. Listed below are a few best boutique hotels in the world, which are by many considered the best among the lot. How about working at a Boutique Hotel? One might argue that working at a Boutique Hotel is not a great idea due to limited services and it is better to be a part of large hotels with thousands of rooms or at least hundreds of rooms. This is however not true. Think of the automotive industry. Rolls Royce is Boutique while Toyota provides luxury to mass travellers. Would you consider working at Rolls Royce a lowly affair? Definitely not. Boutique Hotels have their own advantages and the incentives they offer at times are unparalleled. Moreover, most of these hotels are operating in the Luxury segment and thus have excellent training and learning opportunities to offer. Connection and respect with the large Hotel chains in the world enhance the employability of hospitality professionals. Boutique Hotels require hospitality professionals from all departments and almost every important location around the world has a host of Boutique hotels. So, it is worth an experience and gives hoteliers with invaluable luxury training and exposure. Planning where to begin the job search. You can have a look at our job search page or visit the top hospitality job portals for searching jobs online. Hope you liked the picturesque and informative journey to the Boutique hospitality world. In this article, we listed some of the best boutique hotels in the world. We will keep on adding more to this list. We will keep updating this space so that you don’t miss a thing about Boutique hotel industry.